The second mandala for the month of August covers days 6-10. This mandala was pretty difficult when I got into it. I had to really think about how each pattern would fit into the mandala so that it flowed and looked decent enough. Here are the links for the next five patterns of this challenge created by Mindful Creativity. And here is what I came up with. Just like with the first five days, I started from the inside and moved outward. Day one was easy as it just filled the center beautifully. I would have to say that the most difficult pattern of this mandala was definitely HollyHock being right next to Banana Braid, but using stippling for the white space made it flow just fine. 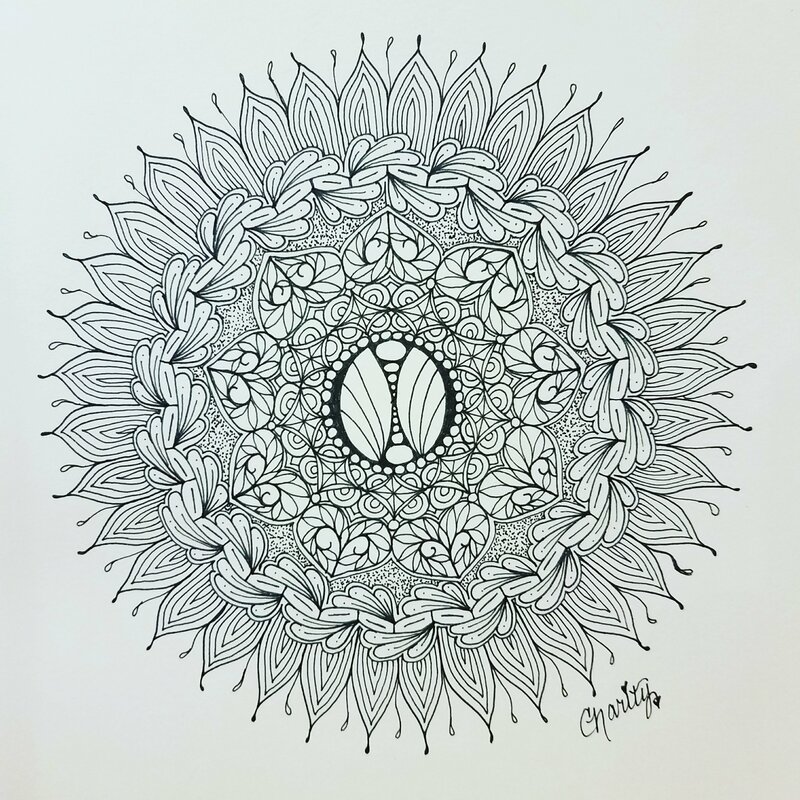 I would love to know your favorite part of this mandala and if you participate in the challenge as well in the comments below. I also always welcome comments, suggestions and constructive criticism.